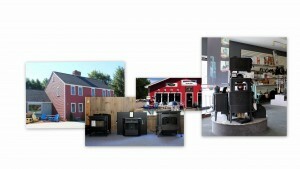 Fireside Living, two Hearth and Patio Stores serving the Lakes Region and Southern New Hampshire. There are n0w Fireside Living stores in Laconia and Bedford, NH. We also own and operate a hearth and fireplace parts distributorship in Bedford. We offer wood pellet, wood and gas stoves, fireplaces and inserts that can heat your entire home or supplement your traditional heating system. Family and staff at Fireside Living have over 40 years combined experience in the hearth industry. We originally owned five hearth stores in Southern New Hampshire. Having sold those stores, we saw an opportunity to return to the hearth business. In 2009, with our combined experience and knowledge, we starting Fireside Living in Laconia. As the heating season started in 2014, we returned to where it all began, opening Fireside Living in Bedford. We pride ourselves on sales, design and installation tailored to the consumers’ home and lifestyle. You’ll find the latest product offerings in wood, gas and pellet stoves, fireplaces, inserts and hearth accessories. We aren’t just about heating season though. In both Laconia and Bedford, you’ll find high quality patio furniture and gas grills. Our key brands are Harman, Heat & Glo, Mendota, Pacific Energy, Vermont Castings, Morso, Majestic, Town and Country Luxury Fireplaces, Duravent, Regency, Stoll, Telescope Patio Furniture, Breezesta furniture, Saber Grills and Big Green Egg. We also carry all the accessories and supplies you need. We’re expert and experienced installers, but can also guide do-it-yourselfers or work with your contractor. You’ll enjoy one-stop shopping to create your own kind of fireside, or outdoor living – one that will give your family years of living in comfort and living in style.